everything explained to me so I could understand which I really appreciated. Francisco delivered outstanding service. He honed in on the problem with great expertise and knew the exact part that I needed. I was reassured that my problem was solved. He was able to quickly diagnose and help figure out a solution that is cost effective. It turns out the Dishwasher wasn't broken, and he helped me figure out next steps to address it right away. Kudos! Professional, knowledgeable, friendly. Great service. Ray was extremely helpful and knowledgeable. And when I called the store, they were also helpful and friendly. Performed warranty service so I can't rate pricing, but service was excellent. DISHWASHER WHIRLPOOL WDF540PADM3 Customer complaint not drainnning : found overflow clog clear it run diagnose test all components tested ok to manufactory specifics. REFRIGERATOR WHIRLPOOL WRS325SDHZ01 "chst complain that refer sction is freezing food, tech found serval bags of veggies frozen and milk also due to damper being stuck, tech freed damper and removed ice that had formed on damper to keep from closing, all tst good"
REFRIGERATOR WHIRLPOOL WRF757SDEM01 replaced parts to the refrigerator put the fridge is diagnostics thermistors passed i replaced the board and harness. RANGE WHIRLPOOL WFG361LVQ1 "found inner glass cracked on range, cust say will use as is and contact us if want move forward"
REFRIGERATOR WHIRLPOOL WRX735SDHV00 "replaced evap mtr after de iceing refer, all test good"
WASHER AMANA n/a Customer complaint leaking:found washer lekaing from drain pipe info customer to call plumber run diagnose test washer tested ok to manufactory specifics. LAUNDRY CENTER MAYTAG MVWB835DW1 "replaced faughty water valve, all test good"
REFRIGERATOR WHIRLPOOL WRF555SDFZ08 customer complaint is that the fresh food section is freezing .went into diagnostics fc thermistor :passfz thermistor pass too.the problem is that infront of the air vent they had items infront blocking no air flow . WASHER WHIRLPOOL WTW5000DW1 "cust compl washer not spinning out cloths. chk and test washer found no error codes , washer working according to specs. recallibrate and test. all test good.nori@ca.rr.com"
DRYER AMANA NGD4655EW2 Found item stock on door seal remove it run ddiagnose test all components tested ok to manufactory specifics. REFRIGERATOR MAYTAG MSD2454GRW "found refer completly dead due to compressor pulling lock rotor amps, saftey recall did not repair, comp has hard start kit that was not able to help any longer needs compressor,"
WASHER WHIRLPOOL WFW75HEFW0 Customer complaint bad door seal: found bad door seal replaced it run diagnose test all components tested ok to manufactory specifics. REFRIGERATOR WHIRLPOOL WRX735SDHV00 "replaced main control pre tech line, refer started same problem after ten min. 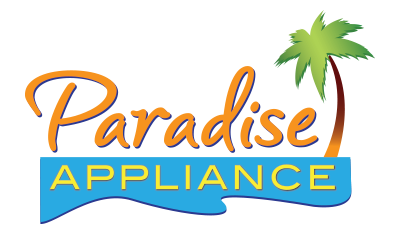 call tech line and recommend repla low volt evap fan; ordrng 1 WPW10308033 (motor-evap) and 1 WPW10276647 (motor-evap)"
REFRIGERATOR WHIRLPOOL WRF555SDFZ08 "chk and test refer, repaired stuck ice make due to ice cube, all test good"
VENT HOOD KITCHENAID KVWB406DSS2 customer instruct call regarding the vent hood we checked the vent hood and there is nothing wrong with the unit itself this call was an installation instruct call. RANGE KITCHENAID KSDB900ESS2 "replaced faughty main control on range, all test good"
REFRIGERATOR KITCHENAID KBLO36FTX03 "found bottom hinge completly broken, cust will consider and call back if approve"
DISHWASHER KITCHENAID KDTE104EWH3 Call back Customer complaint not washing : run diagnose test found bad sup pump use kiyhxiyep1 to cover part tested unit all components tested ok to manufactory specifics. REFRIGERATOR WHIRLPOOL WRX735SDHV00 "found main control faughty, keeps turning off and on,; ordrng 1 W11043763 (cntrl-elec) and 1 W11109938 (harns-wire) and 1 W11092533 (start-dev)"
REFRIGERATOR WHIRLPOOL WRS321SDHV01 "replaced fzr door seal, all test good"
DISHWASHER MAYTAG MDB7749AWM1 installed the bimetal the dishwasher is working properly now.tested it infront of customer. DISHWASHER IKEA IDT870SAGX0 "Customer complaint not washing : run diagnose test found error code 6-1 low or not water , checked hose found faucet off turn it back on re run diagnose test dish washer fills and run all components tested ok to manufactory specifics." DISHWASHER IKEA IUD8555DX0 "cust say dishwashing working and dring ptoperly, just has to repair air gap, all test good"